If you want to know the best natural active ingredients that will heal, support, regenerate, and make your skin glow every day you need my comprehensive new skincare education booklet. The Natural Anti-Aging Ingredients You Should Know booklet has been compiled over my 10 years of experience with science-backed botanicals. It's all about the solid, people-friendly, safe and effective natural skincare ingredients you should know. Want to be a more educated and empowered shopper? You're covered. Want to have glowing skin that makes you the most naturally beautiful you can be no matter what age you are? This is the place to go. 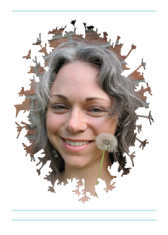 Skincare is often surrounded by so much marketing hype it can leave you reeling with confusion. Every few months it's this new ingredient, that new ingredient, all promising to be the fountain of youth and THE thing you've been looking for. Skip all the hocus pocus and head straight for the nutrients and bioavailable plant compounds our bodies know how to use. All you really need is proven natural ingredients and a few tips on which lines are using these ingredients in ways that work with that research. When you provide the right building blocks and healing compounds your body glows. It's as simple as that. 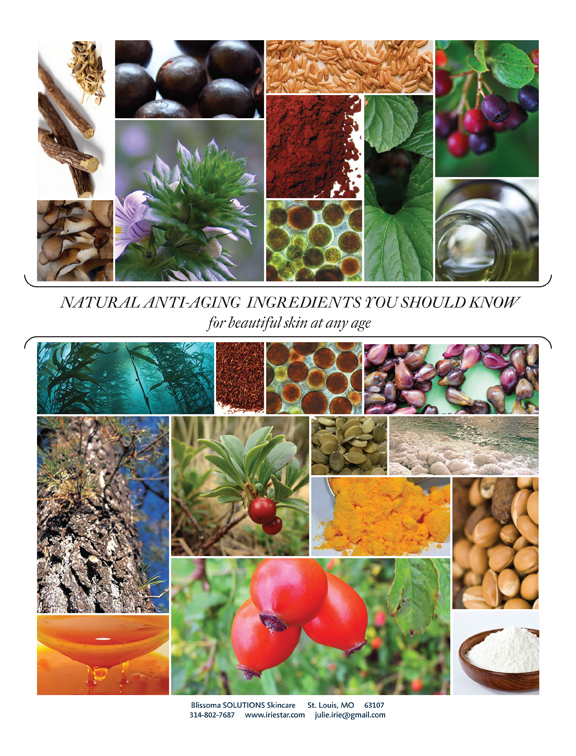 The Natural Anti-Aging Ingredients You Should Know booklet is available for just $10 and contains a page of no-hype information on each of 19 of the best ingredients you should be seeking in your products. The booklet also has curated product selections pertaining to each ingredient so you can head out and confidently change your skincare routine without it being a big hassle. Each product included is using the active ingredient in effective ways and is made with a truly natural and safe recipe from a respected company. Blissoma and 25 other product lines are included as suggestions, meaning there's plenty of choices no matter what your skin type, price point, or preference. Your $10 goes even further though, as with your purchase you'll receive a $10 coupon towards your first Blissoma purchase. That way you can make a change to your skincare routine right away armed with your new knowledge. Don't spend another dollar on skincare without this key knowledge. It may save you a lot of money on wasted, ineffective products and a lot of lost time - and we all know how precious time is. Head over and get your copy. Start getting more effective results out of your skincare today. Your next product purchase could be doing so much more for you. As always I'm wishing you health, healing, and beauty.